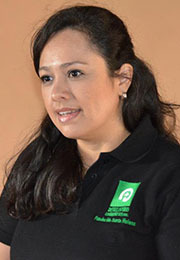 Emilse Urbina is an industrial engineer who graduated from the National Engineering University in Managua. Originally from Boaco, Emilse has worked for various transnational and national companies in areas such as marketing, consumer products, real estate, and trading coffee on the New York Stock Exchange. Since joining DCI 2012 as project manager, Emilse was promoted in 2014 after successfully implementing new systems and projects in our Scholarship Program.